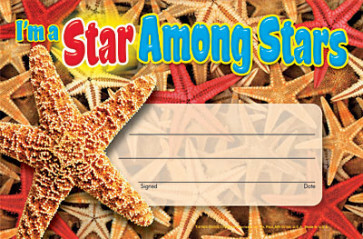 I'm a Star Among Stars school award features a stunning realistic photo of starfish. Kids will love them! Great to use when studying the ocean. Suitable for older students too.